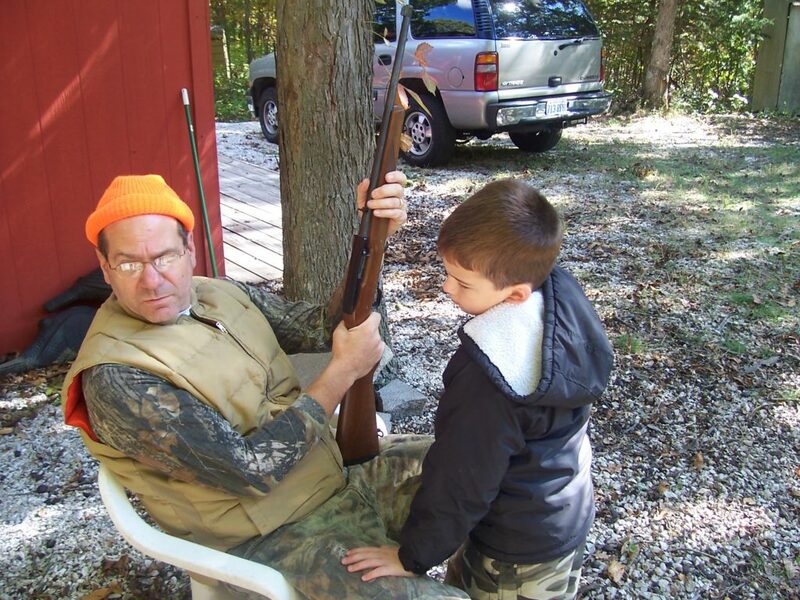 From the moment of our first hunt, my son’s anticipation of his first deer harvest grew exponentially. Little did we know, that anticipation would grow over 7 seasons of deer hunting before the moment came to fruition. We gathered our necessary equipment, warm clothes, boots, bow and foam balls and out we went. Later that Spring, I received notice that I’d be spending the next year overseas in support of Operation Iraqi Freedom. Over that year, the skills that only a five-year-old could muster would be honed by family and friends. 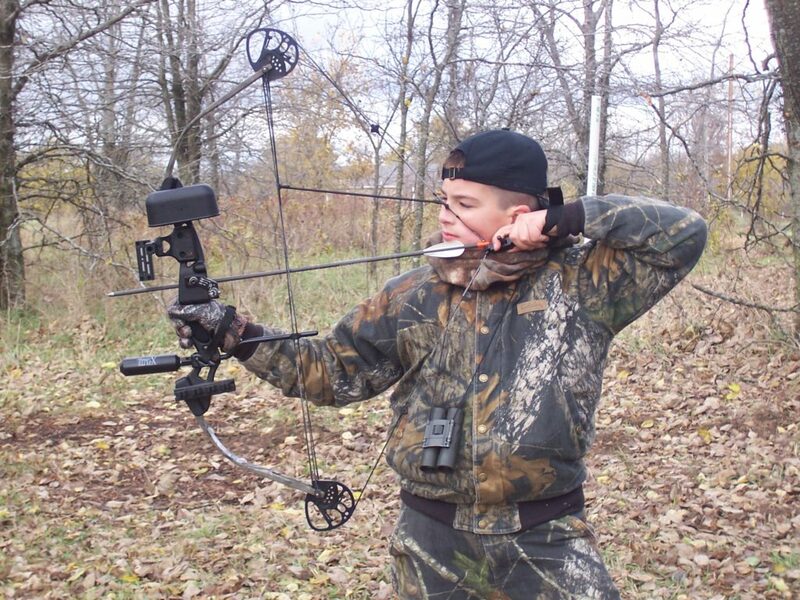 Then, finally, the time came during the fall of 2006 when I would return home and the two would travel to the local bow shop and acquire a “proper” youth compound bow. 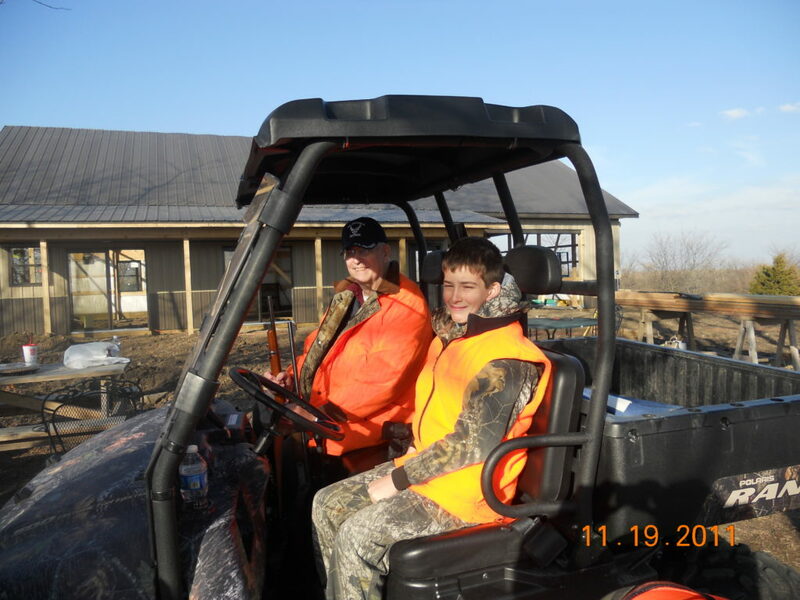 Soon, we’d be sitting in our “Buddy Stand” on the family farm, chasing bucks. This chase persisted for several seasons. The two would sit together during every type of season offered in Missouri. 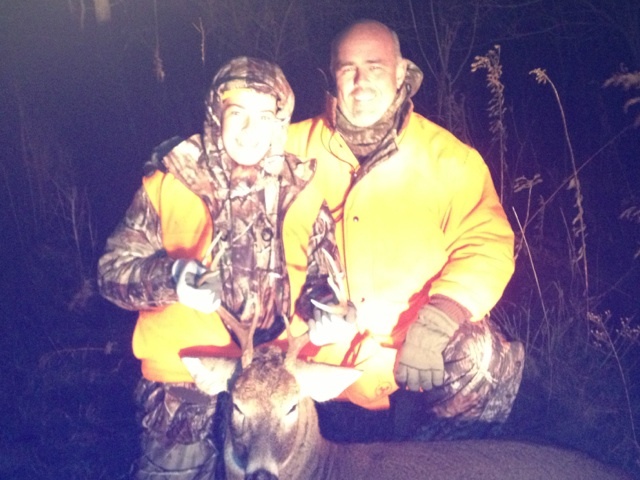 Weeks and weekends would be spent in the field chasing Dylan’s first buck. Extreme temperatures or a lack of sightings did not sway my son. Somehow, the whitetail eluded us…for 7 years. From an early age, he realized that the hunt was not as much about the harvest, but about experiencing the outdoors. Although this passion did not falter, it was tested. Throughout many hunting seasons, he would put in lengthy hunts as others harvested their first deer on their first attempt. One fond memory came in the fall when we were sitting together with his Grandpa. 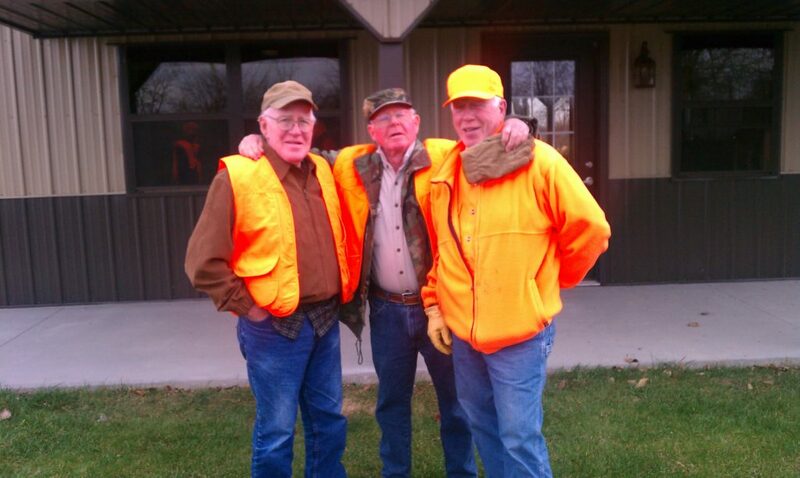 Three generations of deer hunters looking out over the field for a healthy buck to visit. Early that afternoon, we were notified that Dylan’s older cousin just harvested his first deer on one of his first trips. Of course, we were happy for him, but continued to wonder about when Dylan’s moment would come. Fall after fall, the chase would continue while we heard about his other cousins, neighbors and friends taking their first, second and third deer. Even his little sister’s friend would boast about her deer harvest. Our pursuit continued. Each off season we’d hone our skills, improve our deer habitat and prepare for the harvest. In the spring, we’d trim trees, clear shooting lanes, scout and believe that this is our year. We’d practice daily just to be sure. Often, archery practice even continued in the back yard during the summer months while frequently hearing Mom’s persistent warnings about being safe; of course, we had to avoid any misguided arrows finding their way toward the vicinity of any family pet. It was during the fall rifle season of 2012 when it all came together, but only after even more doubt would enter our mind. Still, Dylan would not fall to tribulation. This was a special deer camp. Two Grandpa’s, two great uncles, one uncle, three cousins and of course, Dad was present. We would begin our rifle season tradition with a few days of archery hunting so that we could get a feel for the whitetail’s movement. Once again, the morning and afternoon sits would come and go, a few more days, a few more deer harvested, but the deer continued to elude Dylan. We would sit in the legendary “brush pile” blind and listen to the crack of rifles from our neighboring hunters. The weather was a bit warm, but we persisted. That Sunday morning, the weather changed. Temperatures fell, precipitation started, and a spattering of ice accumulated on the ground. Maybe this could be “our night.” Some of the 2012 Deer Camp residents had left, only a few of the committed remained. We struck out, and, once again, sat for hours with only a few squirrels to spark our interest. As the afternoon turned to evening, a stray helium balloon drifted by. We thought, now that’s rare. Who has ever sees a child’s helium balloon drift by and land? Of course, this mylar noise explosion just happens to land in the adjacent trees? We couldn’t believe it. 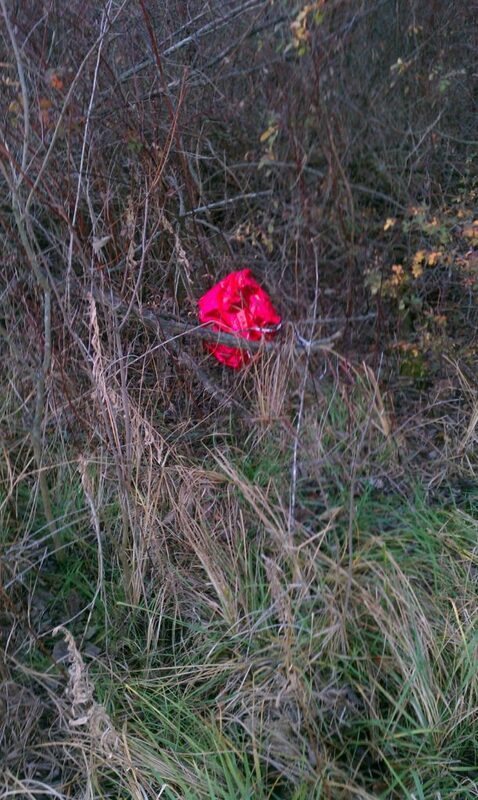 This short-lived child’s toy was caught in the trees, making such a clatter as the wind blew. We just knew that we were going to be skunked again. We even considered leaving the sit to take care of the unwelcome noise maker. As the sun set and dusk would fall, doubt strengthened. Just then, a curious buck showed up to investigate the distraction. Then a doe, then another buck. Perhaps, this really could be our night? Finally, as shooting light became a serious concern, a nice buck showed himself to investigate the “red balloon.” Dylan surveyed the beast in his scope. I whispered in my son’s ear, “Dylan if you have it, take the…” BOOM! Dylan had finally taken his first shot in 7 years and we watched the deer run a short distance and fall. We were elated! After an appropriate wait time, my son and I approached the expired deer and the grin on Dylan’s face was now a permanent feature for the next several hours. It was done, the 7-year wait was over, and the joy was setting in. He had allowed numerous young bucks to pass and the wait was worth it. 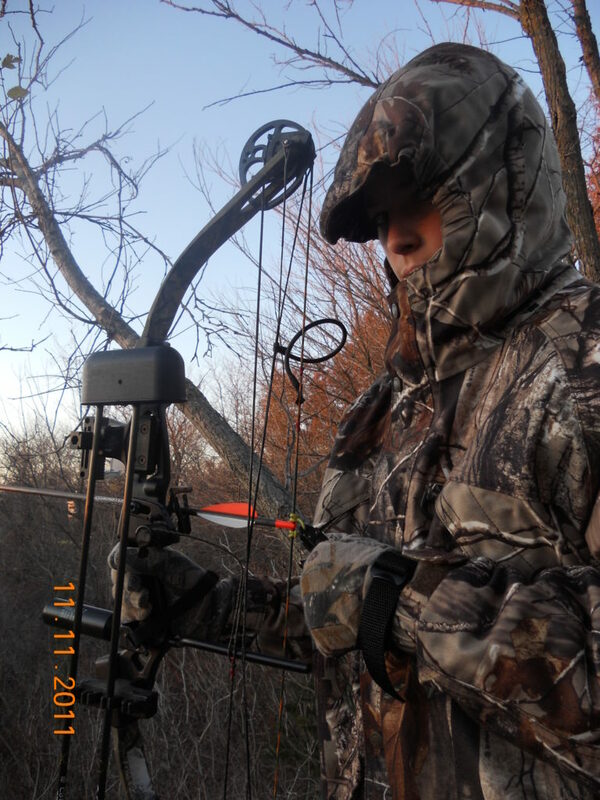 Dylan’s anticipation of his first whitetail was transformed into a passion never to be topped.